Modern Canadian pennies are not something one typically thinks of as great investments, but for one man, that was exactly the case. An eBay seller auctioned a roll of fifty Canadian pennies from 2012 for an astonishing $6,600. Of course, the roll was not your standard collection of pocket-change. 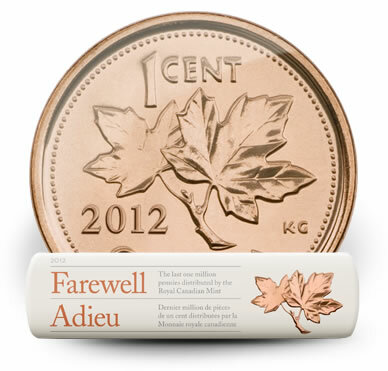 It was one of the last penny rolls issued by the Royal Canadian Mint as a commemorative to the farewell of the pennies. 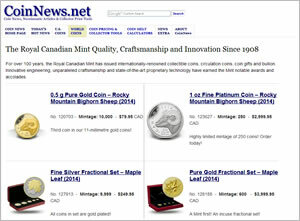 The Royal Canadian Mint announced last year that production of the one cent coin would end. The Mint reserved the last million circulation quality Canadian pennies for 20,000 commemorative rolls that went on sale in February for $9.95 per roll. With orders limited to one per household, the rolls sold out in under a week. Each roll is wrapped in commemorative wrapping and features a serialized holographic label. The label on the roll auctioned on eBay showed that it was the 20,000 roll of 20,000, or the last of the last. The eBay auction went live on February 24, 2013 at a modest starting price of $0.99. By the time the auction closed one week later, on March 3, the roll of Canadian pennies had 87 bids with the winner claiming it for the aforementioned $6,600. An eBay search now finds dozens of Farewell to the Penny Commemorative Rolls listed. As of this posting, the lowest Buy It Now option runs over $40 with shipping, or four times the original cost of the roll. Looking at completed eBay listings shows continuing demand. The best deal for a single roll was over $20 with shipping, and that was a roll with broken wrap. Found on the coin’s reverse is Kruger-Gray’s maple leaf design as seen on the Canadian one-cent coin from 1937 to 2012, excluding 1967. The obverse has a portrait of Queen Elizabeth II by Suzanna Blunt. Canadian pennies pre-date the confederation of Canada as they first appeared in 1858. 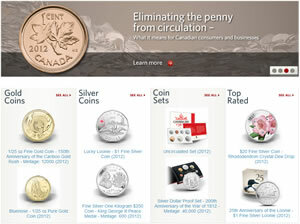 They were used as a staple of Canadian coinage until production for circulation ended last year. The coins remain legal tender but businesses in Canada are encouraged to round cash transactions to the nearest five cents. .99 to 6,6000 WOW !!!! What a cool piece of Canada History…… just don’t open that roll !! It would be neat to see what the other rolls are selling for. $40 on ebay…… I just purchased !! Thanks for this story !! !